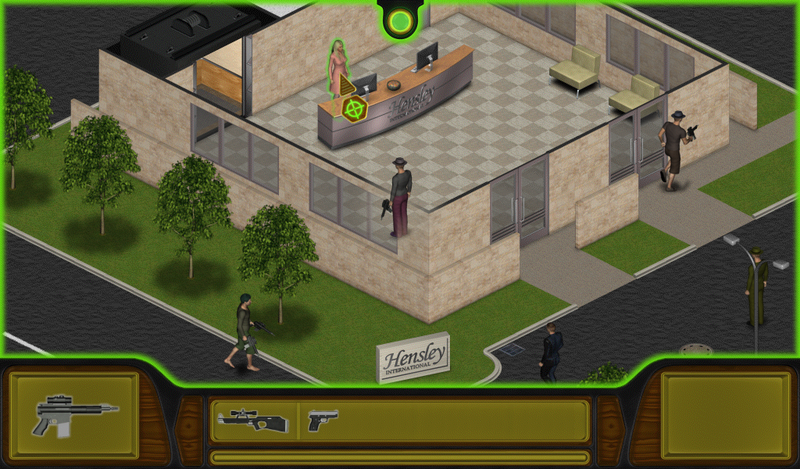 Hostile Takeover is an isometric action game inspired by X-Com and Fallout series. The game is being developed by Christian Knudsen from Laserbrain Studios. Hostile Takeover takes place in a not-too-distant future devastated by a global economic crisis. In a desperate attempt to counteract this crisis, the world’s governments agreed to grant all large corporations immunity from prosecution. This was meant to free corporations from the oppressions of control and legislation but instead cast the global business world into deadly conflicts. Now, no longer inhibited by law, corporations wage war. And within this new world, a new occupation has seen the light of day: corporate assassin. You are such an assassin. Working for whoever hires you. Killing whoever they tell you to. You will infiltrate businesses. Shoot up offices. Assassinate CEOs. No mercy. No doubts. It’s all just business. Hostile Takeover is currently in development. It will be available for Windows, Linux and Mac OS X. No release date has been set, but you can follow the game’s development on their blog. More videos on their Youtube Channel.